Enrique Oltusky // Book Cover // Book cover I designed for the book "Vida Clandestina: My Life in the Cuban Revolution" by the author Enrique Oltusky. This book has been published in numerous languages, and tells the story of the cuban revolution's early days. 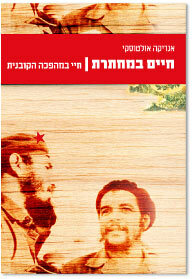 This cover was made for the Hebrew edition, which has not been published yet.